South African yard Southern Wind has launched the second hull in its SW96 miniseries, which has been named Seatius. Measuring 31.41 metres overall (including a 2.18 metre bowsprit), this sloop-rigged sailing yacht was built from carbon fibre and weighs in at just 58.5 tonnes. Her naval architecture comes courtesy of Farr Yacht Design, while the interior is by Nauta Design, and both studios collaborated with the yard on the general concept of the SW96 series. Unlike her sistership Sorceress, Seatius has been specified with bluewater cruising in mind, rather than regatta racing. For this reason, she has been fitted with longitudinal jib tracks and hydraulic cars — features that will come in handy during her 7,000 nautical mile maiden voyage, which will be undertaken with her owner at the helm and a skeleton crew. Accommodation is for up to six guests split across three cabins, including a forward owner’s suite, while the crew quarters allows for a staff of up to three people. Auxiliary power comes from a single 231hp Steyr SE326E40 diesel engine and her lifting keel allows the draught to be reduced from 5.5 metres to 3.4 metres for shallow waters cruising. 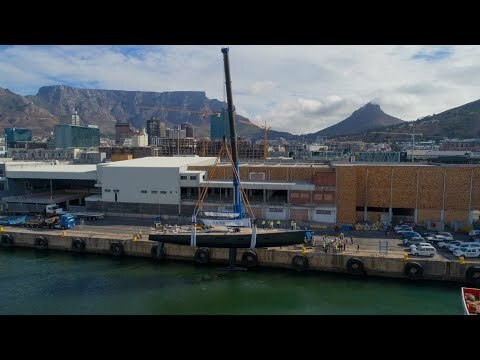 Other superyacht projects currently under development at the South African yard include the second and third SW105 yachts, which are both due for completion before the end of the year.